Is Gordon Shedden The Man Under The Stig Costume? Ever since Ben Collins outed himself as The Stig a few years ago, the producers of Top Gear have been extra cautious in protecting the identity of Collins’ replacement. 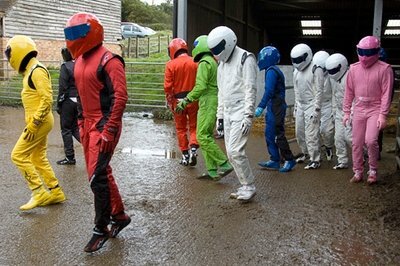 It’s one of the shows most important traditions; to keep the Stig’s identity confidential under all circumstances. That’s precisely the reason why you see this man barely register an emotion on the show, opting to stick to his go-to-move of crossing his arms to tell you what he thinks about you. Very stoic, The Stig is. But a recent report by the Daily Record may have Top Gear execs fidgeting in their seats after the British daily pretty much took the mystery out of the box and splashed it all over the news. 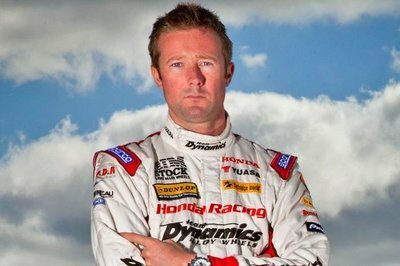 According to the Daily Record, The Stig is none other than Scottish racecar driver Gordon Shedden. Rumors that Shedden was The Stig took on a new life after the Scot demonstrated the Honda Mean Mower, a lawn mower that can do an incredible 135 mph. But demonstrating a garden vehicle didn’t register too much of a blip on the radar. What did, though, was a recent episode of Top Gear that showed The Stig giving the Mean Mower a run. The unfolding of events eventually gave way to rumors that Shedden was the man under the white racing suit. The man didn’t even try to squash the rumors when he was asked about it, opting only to say"I don’t think anyone can say that. At the end of the day, it is just a person in a white suit. It’s more about the myth of Stig than who it is." While no confirmation was made, this is one of those times where the adage "where there’s smoke, there’s fire" can be aptly used. Fans of the British Touring Car Championship have no problem recognizing who Gordon Shedden is. For the rest of us, though, it’s high time we get introduced to the 2012 BTCC champion. Driving for the Honda Yuasa Racing Team, Shedden’s 2012 triumph at the BTCC made him only the third Scottish driver to win the overall championship title, following in the footsteps of John Cleland and Jim Clark. Shedden’s skills as a racecar driver earned him the nickname "Flash" from fans of the series, an appropriate name to be known as considering that he’s been in the racing scene for the past 12 years and has no plans of slowing down anytime soon.